With summer just around the corner, it is time to break out the maps and plan your vacation! While the Muggles may head to the beach, you know it is the perfect time to follow in the Boy Who Lived’s footsteps. Get your bags packed and your wand ready because as soon as you hear about these magical places, you will want to Disapparate immediately! If you’re ever hungry in Edinburgh, Scotland, stop by the Elephant Cafe and see where the books all began! J.K. Rowling penned much of the first draft of Harry Potter and the Sorcerer’s Stone in one of the back rooms. While you are at the cafe, take a peek inside the restrooms. Much like the notes left on the Potters’ house in Godric’s Hollow, fans have been writing messages all over the bathroom walls (as shown above). After you eat, walk the short distance to Victoria Street! You just might recognize it. It is said that Rowling based Diagon Alley on Victoria Street, and once you see it for yourself, you will understand why. With the mix of clothing stores, a bookshop, and even a joke shop, it will have you wishing for a butterbeer in the Leaky Cauldron! I should note that there are other streets that claim to have inspired Diagon Alley, such as Cecil Court, Gandy Street, or the Shambles. If you get the chance, tour them all and let us know which one you think looks the most like Diagon Alley! While you are waiting for your Hogwarts letter to finally arrive (it must’ve gotten lost in the mail, right? ), you can take a tour of Lacock Abbey. This former 13th-century nunnery lent its sprawling grounds to several famous scenes throughout the movies, including when Harry first hears the Basilisk after detention with Professor Lockhart. Avengers fans may just be learning about the beautiful grounds of Durham Cathedral, but Potter fans have been flocking to the site for years. 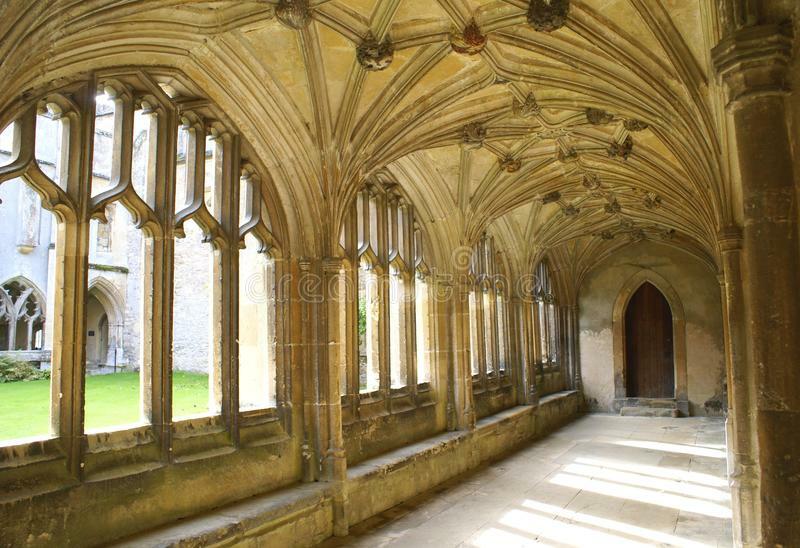 Much like the halls of Lacock Abbey, the long cloisters of this cathedral were the backdrop to many Potter scenes. In addition, the cathedral hosted the Hogwarts students as they learned to change animals to goblets in Transfiguration class! This 100-year-old office building in New York City is home to a small little wizarding organization that you may or may not have heard of: the Magical Congress of the United States of America, a.k.a. MACUSA. It really is no wonder that Rowling chose the building for MACUSA. In the late 1920s, the Woolworth building was one of the first and tallest skyscrapers in the US. The building’s fame and elegant exterior make it a natural hub for magic. Seeing as Woolworth is still an active Muggle office building, most Potter tours in the city will only take you around the outside; however, there are private lobby tours available. Another filming location (this time for Fantastic Beasts and Where to Find Them), New York City’s famous Central Park Zoo is visited by hundreds of Muggles daily. However, in 1926, the zoo had an extra purpose. Newt Scamander must lure back one of his escaped creatures with the traditional Erumpant mating dance. This hilarious and iconic scene took place in the center of the zoo. 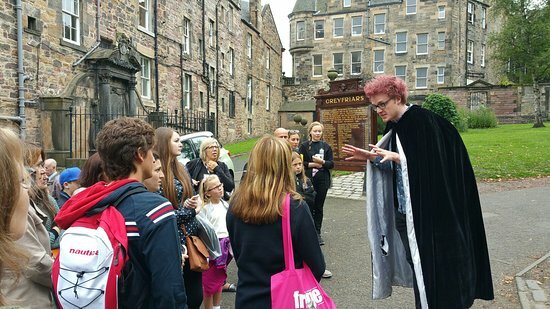 According to one MuggleNet staff member, the Potter Trail guided tour of Edinburgh’s Old Town covers all of the best spots – even the ones that are more difficult to find, such as Tom Riddell’s grave! 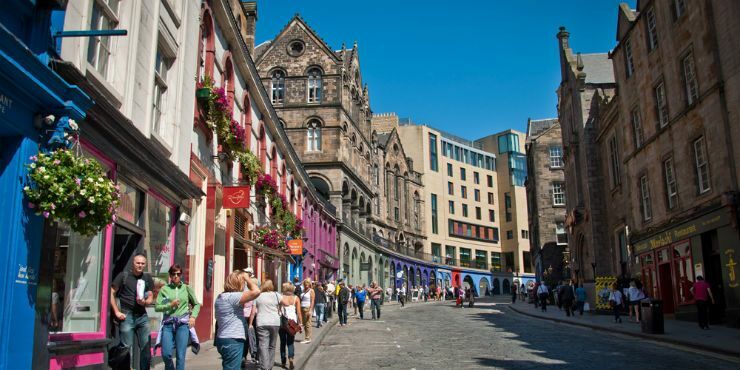 The trail includes a stop in Greyfriars Kirkyard, a famous graveyard overlooked by the Elephant House cafe and home to the tombstone of Thomas Riddell, the likely inspiration for Voldemort’s name. More recently, the grave has become inundated with notes and mementos from fans. Another filming location is Alnwick Castle. The grounds are the backdrop for the trio’s very first flying lessons. Now, I don’t know about you, but there is only one thing better than walking the beautiful grounds, and that would be to fly around them. Luckily, the broomstick training courses at the castle allow you to do just about that!